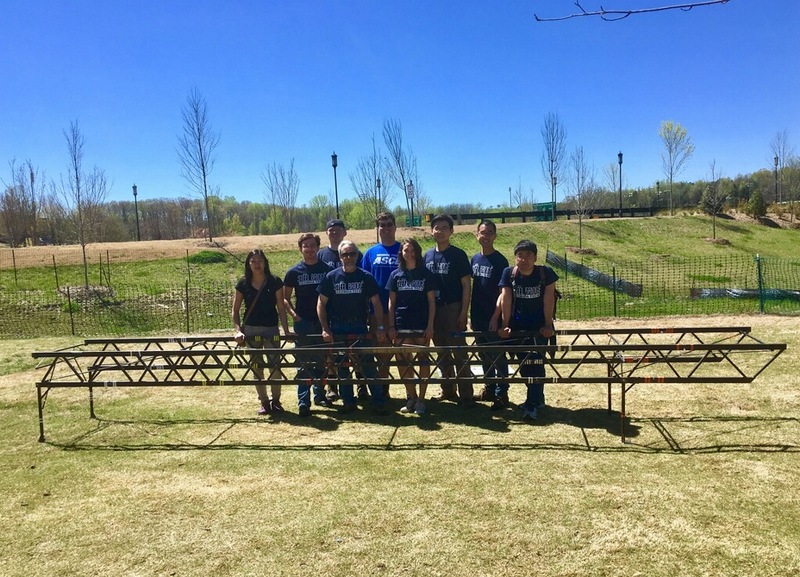 Congratulations to our Steel Bridge team for placing 1st overall at the 2017 Regional Carolinas Conference! They went on to place 14th overall at the National competition! We are looking forward to another successful year in 2018. 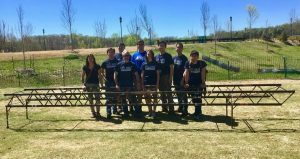 Steel Bridge is a national competition that requires students to design a bridge around 20 feet long and no taller than 5 feet. 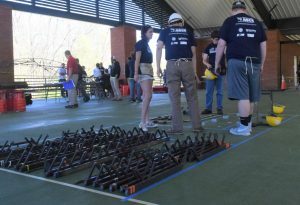 The bridge is made up of multiple member that must be constructed during the timed competition. The fall semester is generally devoted to designing the steel bridge. 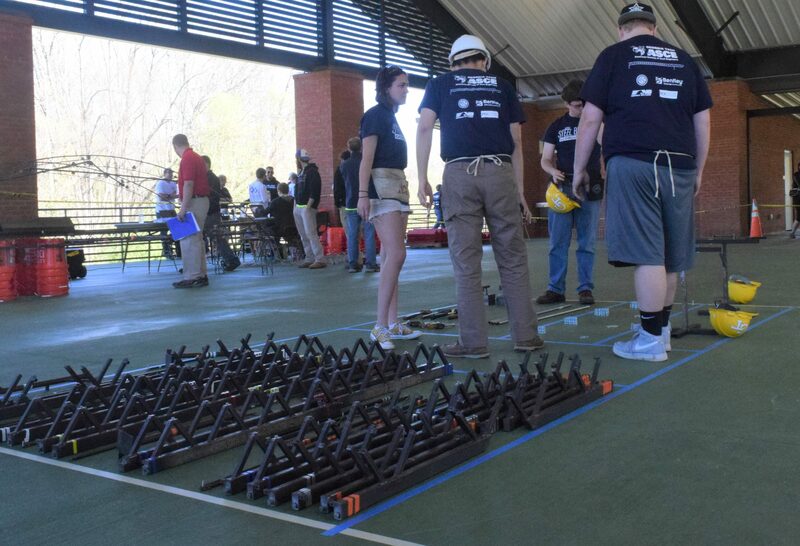 Fabrication will begin in January and will continue until the regional competition the first week of April. There will be meetings periodically throughout the fall, but plan on the bulk of your involvement being in the spring. Feel free to email us with any questions!